This procedure also worked for me with Asus T103H (next model of T102H). Where /dev/sdX would be your USB drive and 1 the partition number that should be used to boot. The installation process is the same as a computer. Just create your partitions (I just created / and swap) and that was it. One of the needs with this after installing Debian was to rotate the screen, because the tablet has a keyboard and should be used like a “laptop” style the screen was needed to be horizontally configured, rotating the screen caused the mouse pointer to run in funny directions. The match product can be obtained using xinput. Because I’ve installed with a Debian CD iso I hadn’t all the required firmware so there weren’t ethernet card. I found this driver, but because I hadn’t installed anything I was lacking ‘make’ and ‘sudo’ which are used in (install.sh) so I’ve started doing the first steps of that script manually. Made a reboot and it worked. 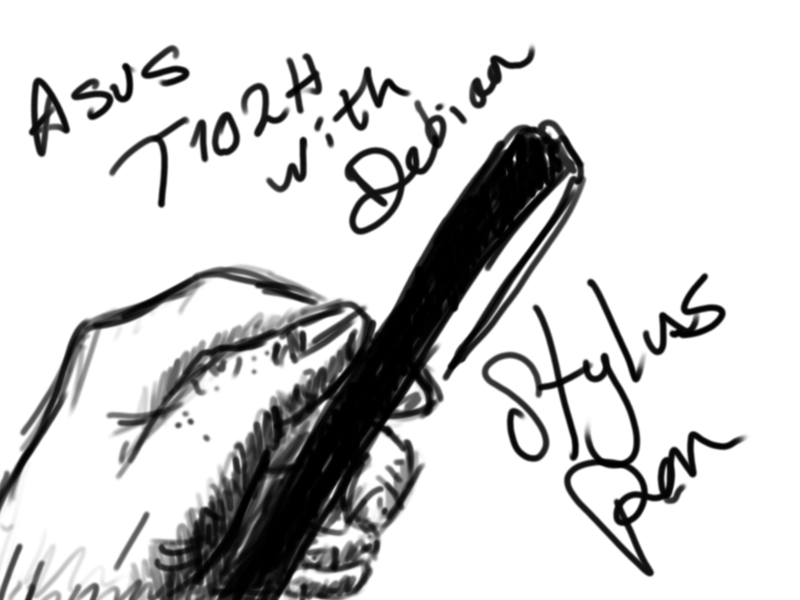 I did all of this because I was told to enable the “pressure feature” of the “stylus pen” work on Linux. Well, I’ve tried using “synaptics” but I required certain tools to test the functionality that are only available with “libinput”, so I’ve installed libinput and uninstalled synaptics (in that order). very interesting device, could u tell me battery duration with your linux setup? thx for reply… i hope we will see more devices like this on market… i like it 🙂 what device u moved to? They picked a chinese brand (I don’t even know the name) which is cheaper and because the T102H is no longer available in Argentina. But I enjoyed the time I had with it. The company is still looking for devices to test but nothing else has arrived yet to our work team. Hi Miguel, I recently got an ASUS T103 2 in 1 device for daily continuous notetaking during classes. However I quickly noticed it was skipping strokes almost every once every paragraph (even under large constant pen pressure) or while making diagrams; it was very frustrating and I had to return it. So it made me wonder about the quality of the pen or touchscreen and whether it happens to anyone else? Does it skip strokes (leave gaps) under fast handwriting or drawings? Did you use it as a notetaking device (while writing lots of text or drawings)? I currently have a 2013 HP elitebook 2760p which uses a Wacom digitizer and works flawlessly for taking notes except for the weight and it’s an old device. Quite weird behavior for such good device, have you been using linux on it? I’ve tested the T102 and T103 with the same Ubuntu version and both worked pretty well (the project we are currently developing is related to digital signatures) so under Linux that didn’t happen to us. If you were using Windows on it, maybe it could be a driver or software related issue, you could have tried different software (i.e If you were using One Note, did it happen the same when using GIMP?) or do a driver update. As I’ve said I only tested it using Linux and I hadn’t any problems, the pen and the screen pressure worked perfectly (quite important for biometrics in digital signatures). You should give it another try and maybe try a different software, If you were using Linux then it could be a distro/drivers related problem. 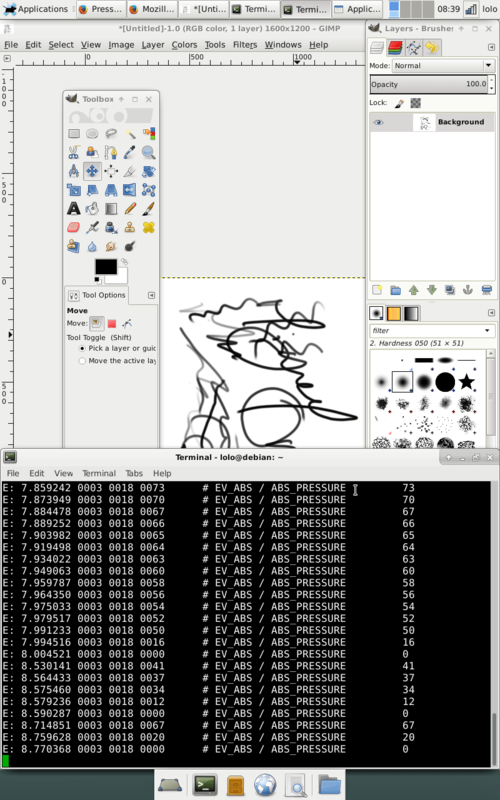 I did use it with Windows and Linux (mint) with the same results and software independent, and I also monitored the pen status with “xev” where it was clear every once in a while it was missing strokes and even under the minimum threshold setting it required quite a bit of pressure to register. If you test it again let me know! A couple of days ago I bought a 2 in 1 device “Lenovo Yoga 530” amazing device!!! altought way bigger than the Asus TH103 and you can’t unplug the keyboard but instead do a 360° flip of the screen to convert it to a tablet, the experience writting notes on it (One Note) and drawing is incredible. Looking forward to hear your opinion if you get the Asus again.